When it comes down to Seth Rogen, he is almost always playing the same guy in everything that he stars in, but his fanbase that are actually willing to see his movies won’t care. I personally wish we’d see a really different movie than what we’re used to, but I’m not picky enough to complain the whole time. He’s still a pretty funny guy, so I say let him be who he wants to be! 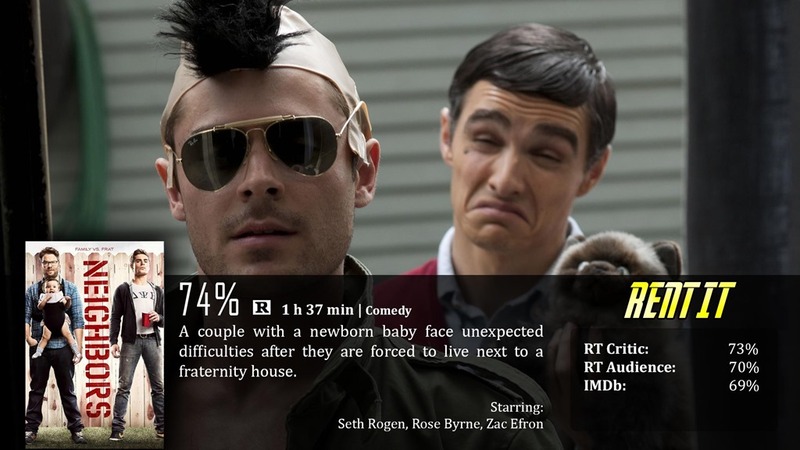 Neighbors is another movie where he’s more or less the same doof, but I think it has it’s moments. Our film today introduces us to Mac (Rogen) and Kelly (Rose Byrne), a happy couple who has just had a baby and moved into a nice neighborhood…or at least that’s just how it begins. Not long after, a fraternity moves into the house next to them, and starts creating a little too much noise. Mac and Kelly are worried about their baby getting irritated by the noise, so they ask the neighbors to turn it down a little – which begins an all-out feud. Think Deck the Halls, but something at least a little better written. Here’s what I don’t like about this movie, because it’s not perfect…no where near, really. It’s a really plain and overused comedy plot. It’s the age-old conflicting interests, so you have to ruin each other’s life story, and it’s always a game at who can come up with the next craziest idea. That’s great and all, but I wanted something a little better. It may be a classic movie trope, but it’s really cliché. What they did with it’s fine, but in the end, there wasn’t a lot of originality involved in the foundation of this flick. That being said, I did somewhat like the comedy here. It was that same bold, random, crude, creative humor that Seth Rogen is typically seen accompanied with. So again, he may be type-casted, but at least he’s a type-cast that knows what he likes to do. There are just some of the most random and vile jokes throughout this film that hand me laughing out loud. At the same time, the humor isn’t exactly fresh. We can go into this movie knowing exactly what to expect and get exactly that…so if it’s originality you want…you’re not going to get it. 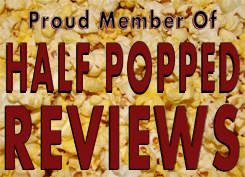 I’m going to keep this review short, sweet, and to the point – Neighbors isn’t amazing or original, but it still has that classic Seth Rogen comedic flavor, and his interactions with Zac Efron are pretty funny, for what it’s worth.